Come to Big Y for all of your life's celebrations. Whether you are planning a casual backyard barbecue, an intimate dinner party or the wedding of your dreams, we have everything you need to make any special occasion memorable. From appetizers to dessert, and flowers to balloons, our party planning experts are always ready to help you choose from our dazzling array of celebratory selections. Whatever your needs for whatever occasion, let Big Y help make all of your life's celebrations ones to remember. All of life's celebrations, from the every day to the extraordinary, deserve something special. And at Big Y, when you're ready to put together your next party, we are here to help make it happen. Delicious, homestyle, on-demand meals and entrees for all your family and friends gatherings. Try our Freshly Made Grinders and Sandwich & Wrap Platters or heat & enjoy Chicken Wings, Tenders & Nuggets or everyone's favorite, a Hot Cheesy Pizza! 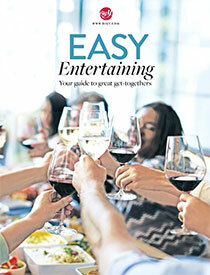 View the Big Y Take Out Menu or Entertaining Favorites Brochure. From yummy and nutritious deli for school lunch sandwiches to elegant and delicious platters of deli meats and cheeses, your Big Y Deli Counter is the freshest. Visit the olive bar, then pick up some flat breads or find that perfect cheese appetizer with our Cheese Merchants' Reserve section. 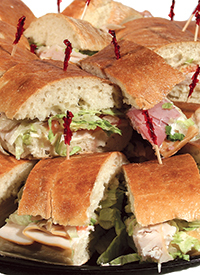 For any party any day, Big Y's Fresh From Our Deli is just right. 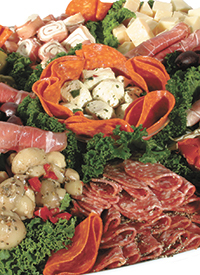 View the Big Y Deli Party Platter Order Form. Cakes aren't the only treats you need for that special occasion. 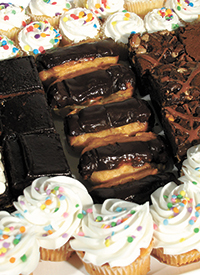 We've got every possible variety of sweets baked just for you. Our Dessert Platters include decadent ricotta cake, cannoli, brownies and more. There's Sweet Tooth Platter, Cookie Platters and some pies from local farms like Lyman's Orchards. Decisions decisions. 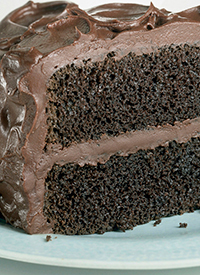 View the Big Y Bakery Platters Brochure. Our talented cake decorators will design your cake especially for you. Add your favorite photo and impress your guests! Ask for a taste of our gourmet fillings or toppings. We will custom create your cake for your special occasion. Talk to one of our World Class cake decorators for advice and information. Kick up your celebrations with centerpieces to brighten up any occasion. 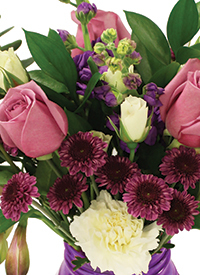 In season flowers from all over the world make our special arrangements. If it's a hostess gift you're looking for, you have the right spot. From seasonal plants to specialty bouquets, Big Y has gifts to make any hostess feel special. 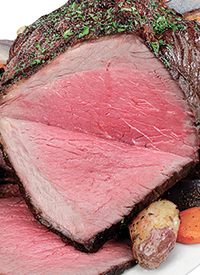 Prime rib roast, whole tenderloins, crown roasts and more, Sam the Butcher® has it all. He'll recommend just the right cut and weight for your party of 20 or intimate party of 2. Then Sam will custom cut that meat to your liking and have it ready when you need it. Straight from the seas to your celebration table. 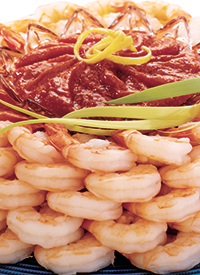 We've got shrimp platters and more for your gathering. Need steamed lobsters for your clam bake? No problem, just order in advance and we'll steam you lobster purchase for free. Sushi fans? We'll custom create the sushi platter just right for you, whether you're serving 5, 10, 20 or more. View the Big Y Seafood Menu.